In recent years, AMD has made a huge resurgence in market share in the CPU world. For almost a decade Intel was crushing them with higher clock speeds and superior performance with AMD hanging on by a thread seemingly thanks to lower pricing. With this veritable monopoly, Intel ran amok. They weren’t forced to innovate (notably their CPUs rapidly started having more cores once AMD started pushing them) and their pricing was– and arguably still is– excessive. That was until AMD released Ryzen which offered exceptional multi-threaded performance for an amazing price. 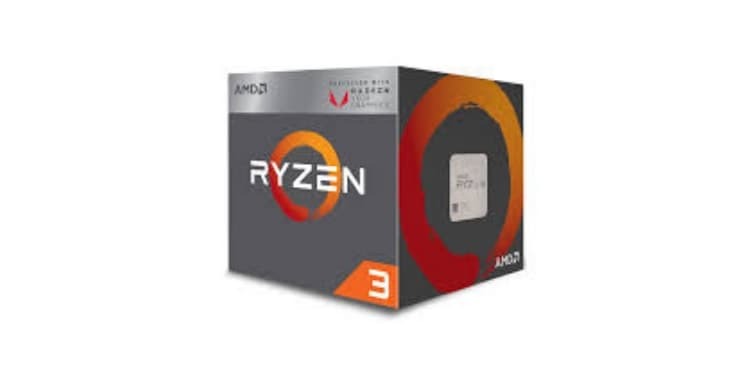 Despite making such a huge leap in viability, AMD still maintains very reasonable prices, so if you want to get in on the savings and performance of the Ryzen lineup but don’t know where to begin, then you’ve come to the right place. Today, we’re taking you on a tour of AMD’s Ryzen lineup and providing you with reviews and a guide to help you choose the best Ryzen CPU for your needs. If you’re looking for the most powerful Ryzen processor on the market, then the Threadripper is the undisputed king. Threadripper is the world’s first desktop CPU with an incredible 32 cores and 64 threads thanks to AMD’s simultaneous multithreading. Each of these cores runs at a base clock speed of 3GHz, but can turbo up to 4.2GHz under the right conditions. The most important of these conditions is cooling, as this massive CPU die is significantly larger than practically anything else on the market right now and puts out a jaw-dropping 250 watts of heat. To properly cool one of these monsters you’ll need either a massive air cooler like the Noctua NH-D15 that you can see our review of here, or a powerful water cooler would be even better. To contain this massive CPU you’ll need a motherboard that sports the huge TR4 socket too. On top of the cooling, you’ll also want to make sure that your Threadripper is fed with lots of fast RAM. With so many cores running at such impressive speeds the processor can sometimes crunch numbers faster than the memory can supply them. When this happens, you reach a bottleneck and CPU cycles go to waste. This is also the reason for the Threadripper’s whopping 80MB of cache to help keep all the cores fed with a constant stream of data. It’s highly suggested to run this Ryzen CPU with fast quad channel memory. Once properly cooled and fed with data to processes, this CPU can break all kinds of Ryzen benchmarks and has been known to tear (or perhaps, rip) through overclocking records. All of this being said, this isn’t really useful for gaming. Games hardly tap into multiple cores, much more 32 (or 64). Its gaming benchmarks are good no doubt-- this thing is really expensive after all-- but beaten and matched by much cheaper CPUs. The Threadrippes is truly at home in workstations that handle intense rendering tasks and as such can only truly be recommended to professionals, not gamers. When AMD’s Ryzen lineup first hit the market in 2017 it shook up the industry in a serious way. For several generations, Intel had been taking a growing share of the CPU market from AMD while releasing quad core after quad core. AMD shocked everyone by breaking the quad-core mold and unveiling an affordable line of processors with 8 cores and 16 threads, making Intel’s offerings seem anemic overnight. 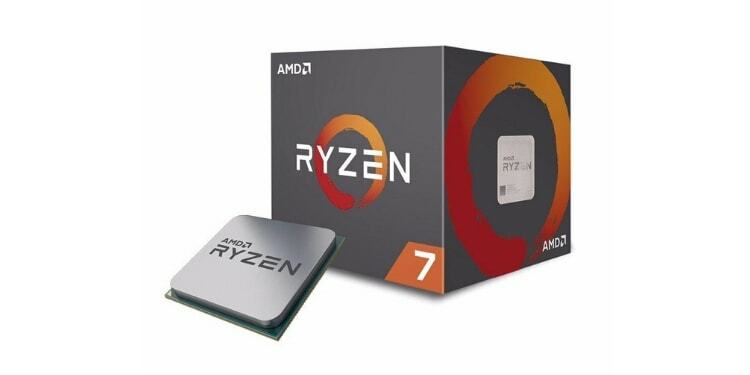 The AMD Ryzen 7 is the flagship of this groundbreaking line of CPUs and also holds the crown for arguably the best gaming performance in the Ryzen lineup. While the Threadripper is an amazing piece of hardware, most games actually cannot utilize all of those cores efficiently. While the Ryzen 2700X has a mere quarter of the core count of the Threadripper, it has a significantly higher base clock and a slightly higher boost clock. When it comes to games, most run better with higher per core performance and cannot properly make use of so many cores. Because of this, a CPU like the Threadripper is overkill and is more suited to tasks that can actually use so many cores and threads, such as rendering, 3D modeling, massive number crunching, or other workstation tasks. The Ryzen 7, along with the rest of the Ryzen chips we’ll be looking at today, uses the AM4 socket and comes with its own cooler in the box. The included cooler with the Ryzen 7 includes some built-in LED lighting, but is actually a bit weak when it comes to cooling. While it is certainly good enough to get very high frame rates in games, it might be worth getting a more substantial cooler if you intend to overclock at all. As with many things in life, the middle path often seems to be a balanced option that takes the best of both worlds. This is no different when shopping for CPUs. The Ryzen 5 is the “middle child” of the Ryzen lineup and it combines the things people love about Ryzen with the things people love about AMD in general. AMD is known for offering excellent prices on hardware that performs nearly the same or in some cases better than the competition. The Ryzen 5 comes in at around $100 less than the Ryzen 7, and what do you lose for this $100? Well, you drop down to 6 cores and 12 threads, you lose a single megabyte of cache, and 0.1GHz on both the base and boost clock speeds. What does this loss amount to in real-world performance? Practically nothing. While the Ryzen 7 will run games slightly faster than the Ryzen 5 and will certainly perform rendering or number crunching work much faster thanks to the added cores, the average user will not notice much of a difference in their day to day computer using experience between these two processors. You will, however, notice how much fatter your wallet is with the extra $100 you saved. 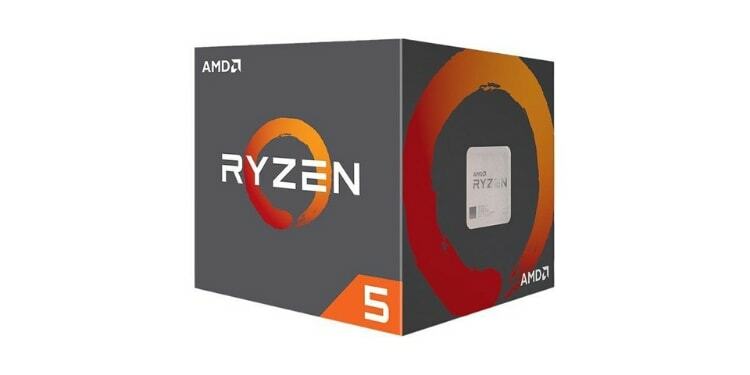 If you’re looking to optimize your performance per dollar and don’t plan to be benchmarking your system or throwing any intense rendering loads at it then the Ryzen 5 is arguably your best option. Our final stop on our tour of the Ryzen lineup is with the Ryzen 3 2200G. This processor is different from the others on this list in a number of ways. Starting with the most obvious, it has the lowest clock speeds and a mere four cores. Also, it lacks the simultaneous multithreading capabilities of its companions, meaning it only has one thread per core for a total of four threads. One of the things that set this apart from our other CPUs is that it is technically an APU, which is what AMD calls their CPUs that have integrated graphics processing, in this case their relatively powerful Vega GPU technology. If you have dedicated GPU, though, then that will be used instead of this. To be clear, this is not the same as having a Vega GPU running in your system and the graphical power of this integrated graphics chip is significantly cut down. That being said, this powerful little processor can run games like Fortnite at low to medium settings at a rock solid 60 FPS in 1080p. On top of being the cheapest CPU on our list, and having integrated graphics, this Ryzen processor even comes with its own cooler just like the 5 and 7. For under $100 this is easily the best way to build a highly affordable simple gaming rig or even working computer. Even after reading our reviews, many of you might still be wondering which Ryzen to buy. To help clear this up, we’ll briefly define a few terms that are important to know, and then compare some of the CPUs on offer head to head. Clock speed is a measurement of how many cycles a CPU can perform per second. This, in effect, determines how quickly calculations can actually be performed by each core of the computer (which we’ll touch on in a moment). Higher clock speeds translate to more CPU cycles and more processes being performed by each core per second. The base clock speed is a speed at which the processor can run at practically all times, even with poor cooling. The boost clock speed is a speed that the CPU can rev up to in times of need, but in most cases cannot maintain due to heat constraints. It is important to note that clock speeds aren’t really useful when you are comparing processors across brands (ie vs Intel) and CPUs from different architectures, because process information differently. You can think of it as being faster, but carrying less info… sort of. Ever since the mid-2000s, CPUs in almost every computer have been multi-cored. This basically means that the CPU itself has several smaller processing units that each carry our processes and instructions independently. The more cores a CPU has, the more tasks it can tackle simultaneously. Speaking of simultaneously, there is also something called “simultaneous multi-threading”. This is a technique that allows each core of the CPU to handle multiple tasks at once– in a way– by juggling or alternating between two processes at the same time. This doubles the number of threads compared to cores when enabled on a CPU. To start off our AMD Ryzen comparison we’re going to put the Ryzen 3 2200G against the Ryzen 5 2600X. The Ryzen 5 is on paper a vastly superior chip with 6 cores compared to the Ryzen 3’s 4. The Ryzen 5 also has simultaneous multithreading while the Ryzen 3 does not, giving the Ryzen 5 a whopping three times as many threads as the Ryzen 3. The Ryzen 3 also sports significantly lower boost clock speeds. Despite all of this, the Ryzen 3 still has one trick up its sleeve, integrated Vega graphics. If you’re looking to build a very affordable gaming computer, then the integrated graphics on the Ryzen 3 are very enticing. For a very low price, you can get a solid CPU with integrated graphics that are actually powerful enough to run games like Fortnite as well as a cooler. The value proposition of the Ryzen 3 is hard for gamers to beat, but the Ryzen 5 is stronger when paired with a discrete GPU. As you might have noticed in our review for the Ryzen 5, we really like it. It takes up a nice middle ground in price and in performance and is arguably the best CPU on the market today dollar for dollar. The specs of the Ryzen 5 are ever so narrowly slimmed down compared to the Ryzen 7 and it offers $100 of savings. That being said, the Ryzen 7 is objectively more powerful with 2 extra cores, 4 extra threads, and about 100 extra megahertz. Choosing between the Ryzen 5 and Ryzen 7 is all about how much you will get out of your CPU. You should ask yourself, “Will I get $100 worth of extra performance out of the Ryzen 7?” If you aren’t doing workstation tasks on your PC like rendering, then the answer is likely no. However, if you want the absolute most out of your PC then maybe the Ryzen 7 is for you. It will be future proof for years to come, nothing will stand in its way, and you’ll be able to easily play the latest games at high frame rates and even record and stream your gameplay without breaking a sweat. The Threadripper cannot go head to head with the other CPUs on this list. It would be unfair to compare this beast to the other processors here, the Threadripper is truly in a class of its own and can only be compared with itself… that’s to say other models of the Threadripper; however, that’s outside the scope of this article (but if you’d like a breakdown, mention it in the comments and we might be able to make it happen). Regardless, whatever you plan to do this CPU can handle it. Playing games will be a breeze, but with the amount that this processor costs, hopefully, you have some real work for it to do. 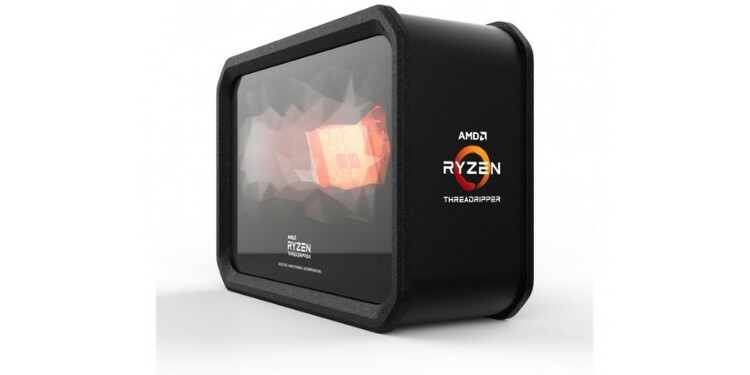 If you’re tired of sitting around waiting for videos or 3D models to render and want to be more productive, then the Threadripper can certainly help.